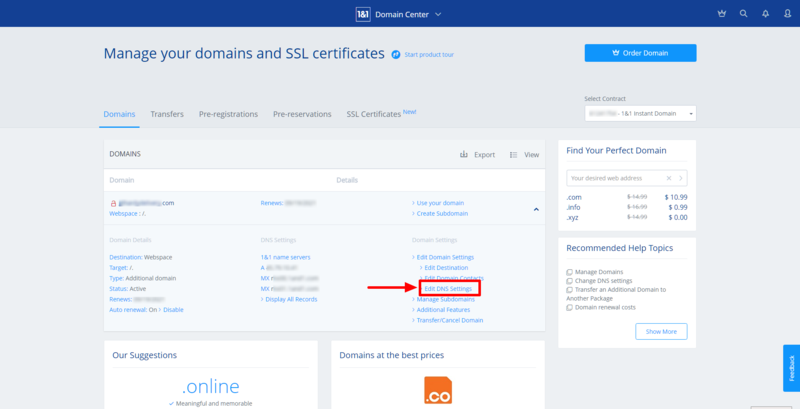 How do I configure my domain name? 1. First of all you will have to park your domain. 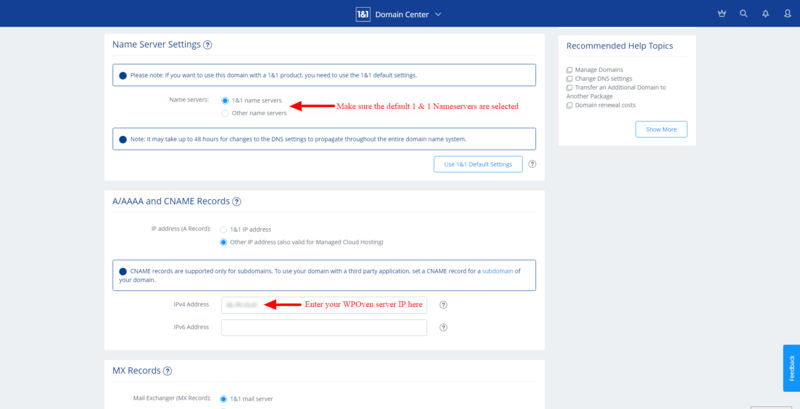 If you have not made any changes in your registrar name server and DNS settings then you can skip this step. Parking your domains means using your registrar name servers for DNS configurations. 2. Go to name server settings section. Different registrars name this setting differently but most frequently used names are “set name server“, “name servers“, “park my domain“, “transfer DNS back“, “fix my domain automatically“. If you can not find any such or similar setting in control panel please contact your registrar help or support for parking your domain. 3. Now go to the DNS settings section. It is named like “Manage DNS Records“, “DNS settings“, “All host records“. In this section you will see a table with different records in it. You will have to create or modify two records of types “A” (Address Records or Host) and “CNAME” (Alias Records). Please note that it can take upto 4-24 hours for the settings to take effect, usually its a lot quicker. If your website does not work as expected or you require any help regarding this issue, please feel free to contact our support team for help. 1. 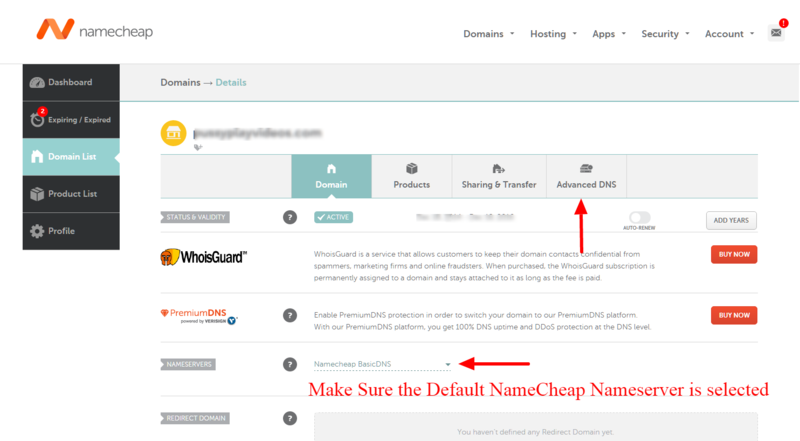 Login to your Namecheap account and navigate to the “Domain List” menu from the sidebar. 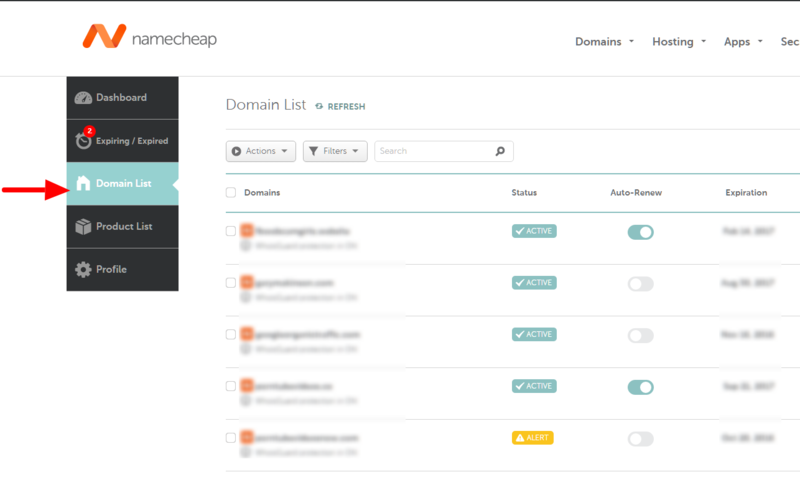 You will see the list of domains hosted at Namecheap now. Select the domain you wish to point to your WPOven server. Then click on the check (tick) icon to save the record. 1. Login to your GoDaddy account and click on the ‘Manage‘ button in front of the ‘Domains‘ row. You will see the list of your domains hosted with GoDaddy. 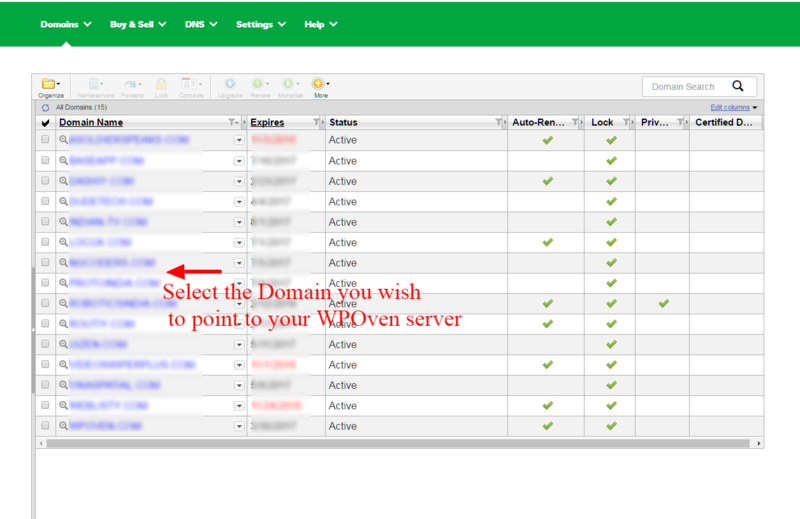 Select the domain you wish to point to your WPOven server. 2. 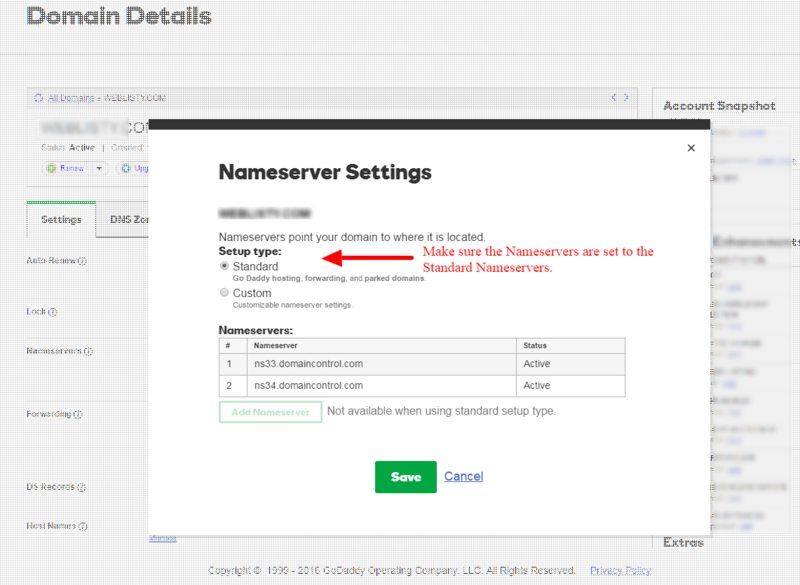 Now make sure that the ‘Nameservers‘ are set to the Default GoDaddy Nameservers. 3. 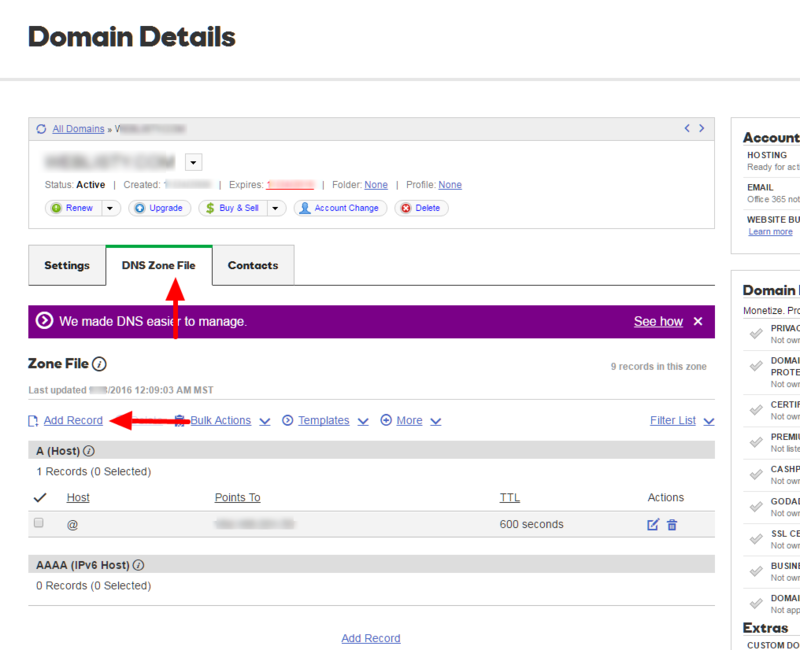 Select the ‘DNS Zone File‘ subtab and click on the ‘Add Record‘ button. Then click on the Add Another icon and create a Cname Type record. Then press the Finish button and save the records that you have just created. 3. 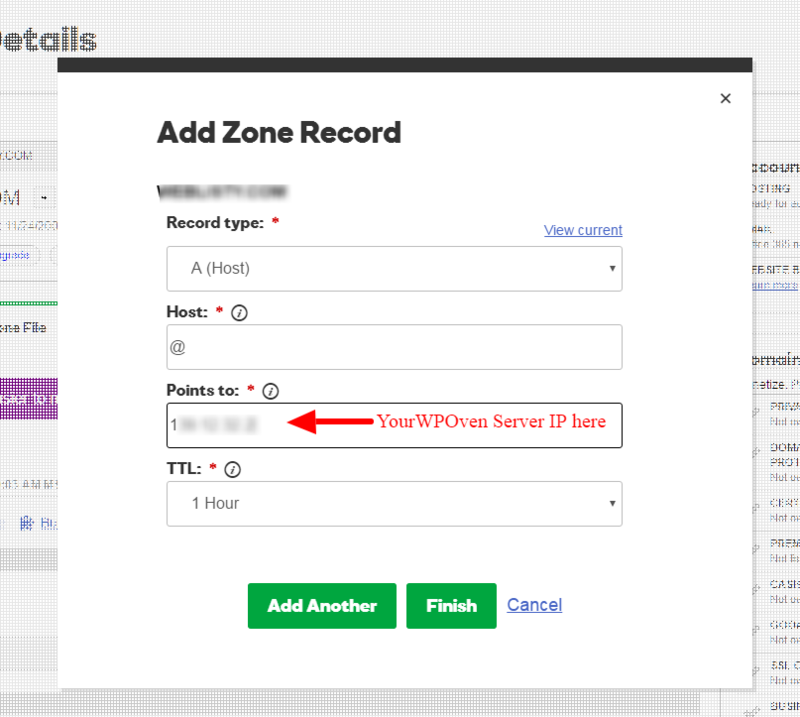 Make sure the Name Server Settings is set to ‘1 & 1 name servers’ setting and in the ‘A/AAAA and CNAME Records’ setting the IPv4 field has your WPOven server IP entered in it.